Some great men have streets named in their honour, even greater men have towns or even cities named after them, so how to compare a man after whom they named large swathes of Africa? That man was Cecil Rhodes, who founded the colonies of Southern and Northern Rhodesia, renamed Zambia in 1964 and Zimbabwe in 1980. Born in 1853 at Bishop’s Stortford in Hertfordshire, Cecil was the sixth child of the Reverend Francis and Louisa Rhodes. A sickly child, Cecil suffered generally from a weak chest and in particular was asthmatic. It was possibly due to this ill health that he was denied the public school education that his three brothers enjoyed at Eton and Winchester, and why he was sent instead to the local grammar school. When he was only 16, Cecil fell so ill with a suspected case of consumption that he was dispatched to recuperate in the warmer climate of the British South African Cape Colony, there to join his brother Herbert on his cotton farm. An opportune time to arrive in the colony perhaps, with the recent discovery of diamonds there. He set ashore only weeks before his 17th birthday looking every part the typical English schoolboy, in scruffy cricket flannels and an old school blazer. The warm African sun appears to have had the desired effect on his health, as Cecil started work for the first time. He began by digging the earth, first on his brother’s cotton farm, but then more lucratively he could be found prospecting in the Kimberley diamond fields. Living alongside the native Zulus in their temporary camps, he reinvested any monies earned through his diamond finds in buying more and then still more claims. Three years after his arrival in the colony Cecil had amassed sufficient funds from his business ventures to buy himself the ‘gentleman’s education’ he had previously been denied. And so in 1873, leaving his business partner C D Rudd to look after things in the colony, Cecil set sail for England and Oriel College, Oxford. Over the next eight years Cecil bounced back and forth between his Greek and Latin classics studies at Oxford, and his business interests in the dust bowls of the Kimberley mines. During his stints as an undergraduate at Oxford it is said that he paid his way from a box of diamonds he kept in his pocket. By the time Cecil graduated at the age of 28 he was an extremely rich and influential man indeed. He was a member of the Cape Parliament, and through some very astute business dealings and amalgamations he had become Chairman of the De Beers diamond company. Cecil was a firm believer in the adage that ‘to be born an Englishman was to win first prize in lottery of life’, and he sought to bring such enlightenment to the many different states in South Africa by uniting the whole continent under British rule. To achieve this aim he realised that he needed funds on an even grander scale to pay for both military muscle and to bribe local tribal chieftains. Such funds arrived when gold was discovered in the colony in 1886. By the time he was 34, Cecil had monopolised the control of the entire Kimberley diamond fields, with an estimated income of £200,000 from his diamond interests, and a further £300,000 from gold. As one of the richest men on earth, he devoted much of this personal wealth to acquiring territory and mining concessions for the advancement of the British Empire. In the European ‘scramble for Africa’, Cecil was focussed on rapidly expanding British interests, at times it appeared at almost any cost. At the head of a military expedition Cecil entered Matabeleland, and through bribes and some underhand dealing he eventually founded the colonies of Northern and Southern Rhodesia (more recently renamed Zimbabwe and Zambia). Through his vision and determination he had, almost single handily, expanded the British Empire by some 450,000 square miles. Whilst still only in his mid 30s, Cecil was elected Prime Minister of the Cape in 1890. But temptation was again round the corner, or just over the border to be more precise, in the highly lucrative gold mines of the Dutch Republic of the Transvaal. In 1895, Cecil supported an attack on the Transvaal, the infamous Jameson Raid, organised in support of a rebellion that would deliver control of the regions goldmines to him. The raid was a catastrophic failure and Cecil was forced to resign as Prime Minister, bringing his political career to an abrupt end. In his will Cecil left a fortune in excess of £3 million to fund the famous Rhodes scholarships that enable students, primarily from former British territories, to study at Oxford University. 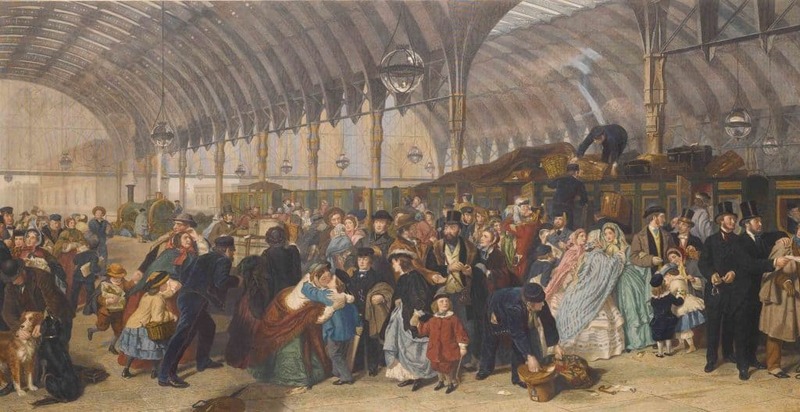 The Victorians and their influence – or how the Victorians put the ‘Great’ into Great Britain! Read about the life of Robert Falcon Scott, most famous perhaps for his failure in the race to the South Pole. Includes photos from the Discovery and Terra Nova expeditions.